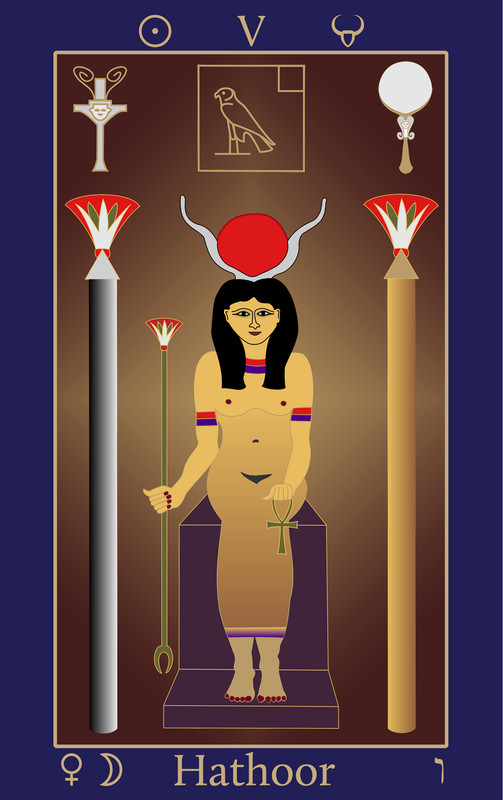 The Egyptian Tarot of Thelema trump for the 16th path of Taurus is Hathoor V. Venus, the Egyptian Hathoor, is the ruler of Taurus, while the Moon, the Lunar Flame, is exalted therein. The name of Hathoor, as given in the (Egyptian) Book of the Law, is derived from Het-Hor, literally, ‘House of Horus’. The esoteric title of the Tarot trump, traditionally called ‘The Hierophant’, is Magus of the Eternal. In the centre of the Tarot picture is Hathoor, seated on a cubical throne, for Taurus is the Foundation of the Earth. The throne is of moon-white or silver, for the Moon is exalted in Taurus and is the fructification of earth and all her creatures. The throne is placed between two pillars of silver and gold. Lotus flowers surmount the tetrahedronal capitals. Hathoor is crowned with the solar disk and lunar cow horns. She bears the lotus wand in her right hand, symbol of the perfume of immortality, and in her left she bears the Rosy Cross of Life and Love. She is naked but for a translucent garment worn on the lower half of her body and legs. Her ornaments are a collar and armbands of deep red and indigo, which is nature’s fourth primary colour. Thus she is the Scarlet Woman of the Book of the Law, and the soul of the world. She is Venus, the goddess of Love under will, and the ruling star of Taurus, the Bull of Earth. The Egyptian hieroglyphic name of Het-Hor is at the top of the Tarot picture. It is the simplest and most elegant expression of Hathoor’s name, the ‘house’ with the Horus falcon within. On either side are the symbols of Hathoor, her mirror and her sistrum rattle. The nature of the Moon, as with the human psyche, is cathodic, reflective. The world is the mirror of the soul; Venus appears to us as a star in the morning or evening by virtue of the fact that she reflects the rays of the sun, as does the Moon and other planets. The sistrum rattle is the emblem of music and dance, and is at the same time the sharp call to attention, to ‘wake up’! Invoke me under my stars! Love is the law, love under will. The Word of Hathoor is the phallic image, the solar power of Horus, her sun-star, born by divine parthenogenesis. Thus by esoteric will, Nuit is manifested upon the earth, clothed in form. The word is thus veiled in flesh. In older depictions of the Tarot trump, the Hierophant or Magus of the Eternal is shown as a pope or mysterious patriarch, or otherwise masked. When man seizes the power of the phallic image for himself, he evokes the false crown of the Abyss. He is thus enslaved by that power and it matters not whether the slave calls his master Satan, God, Religion, Fate or Science. 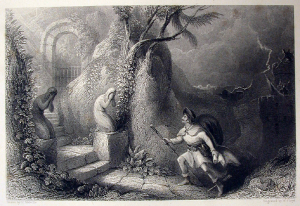 But to love me is better than all things: if under the night-stars in the desert thou presently burnest mine incense before me, invoking me with a pure heart, and the Serpent flame therein, thou shalt come a little to lie in my bosom. The astroglyphs for the Sun and Taurus are shown on the border at the top of the card. On the lower edge of the card are the astroglyphs for Venus, the ruling planet of Taurus, and the Moon, who achieves her exaltation therein. Vav, the letter of the 16th path, is to the right of the title. My number is 11, as all their numbers who are of us. The 16th path of Vav connects Sophia or Chokmah, the sphere of the Zodiac, with Chesed the magnificent or glorious sphere of Jupiter. The path is called the Triumphant or Eternal Intelligence, since it is the way of return to the Garden of Eden. The descent of the path is aptly figured in the letter vav, where the creative seed or essential fire is carried downwards towards manifestation. The letter’s name means ‘a nail’ or ‘pin’; it is the power of fixing an image in consciousness, an act of will on the level of pure mind. The power of imagining is an attribute of Venus, the Egyptian Hathoor. The lunar nature of this path is to reflect the dark radiance pouring forth from the Ain Soph into the pool of cosmic memory in Chesed, the sphere of Jupiter. The magical power of the 16th path is traditionally the Secret of Physical Strength. The secret bears no relation to athleticism, for it is the knowledge of that which animates all things that live and move and have their being—it is no less than the secret of life itself. The power may thus be construed as the Vitality of the Ka. It is Hathoor’s Word, the Serpent Hadit, who gives this life. 1. According to Liber AL, III: 38, the Song of the Stele, “I have made a secret door into the House of Ra and Tum, of Khephra and of Ahathoor”. This is a rare variant spelling of Hathoor’s name; we have adopted the spelling more commonly found in the works of the Golden Dawn and Crowley, based on transliteration from Coptic. 2. See ‘Ultraviolet Light of Set-Typhon’, Babalon Unveiled! Thelemic Monographs, for an explanation of the ‘miraculous intervention’ of indigo, when considered as a primary colour. 3. Qabalistic references are adapted from The Flaming sword Sepher Sephiroth [Ordo Astri]. In the year 1904 while in Cairo, Egypt, Aleister and Rose Crowley unwittingly earthed the magical transmission or prophetic utterance named Liber AL vel Legis, the (Egyptian) Book of the Law. The contents of the Book of the Law are rooted in the Egyptian Gnostic Tradition. More particularly, the book reveals the Great Work of the Egyptian priests of Ankh-af-na-khonsu, Initiates who vow to become Ma-Kheru—one whose ‘word is made perfect in Maat’. 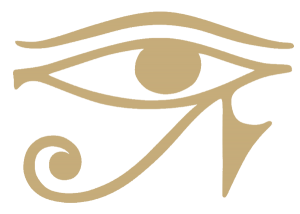 The Great Work of the initiatic cult of Ankh-af-na-khonsu is the magical transmutation of the soul and the knowledge of the spiritual and natural law governing the operation. The formula of the opus is recorded on the funeral stone of one such Initiate, called the Stele of Revealing, of which the Book of the Law, Liber AL, is a theurgical activation. These are fools that men adore; both their Gods and their men are fools. The Book of the Law was dictated to Aleister Crowley through the cosmic mediation of Ouarda the Seer (born Rose Edith Kelly). This required the agency of a praeterhuman intelligence, named Aiwass in the book. It is the aim of magick to obtain direct contact with the inner planes. The diagram called the Tree of Life best explains the term, ‘inner planes’. The material or objective world of things and objects is called Malkuth the Kingdom, and is placed as the tenth emanation at the foot of the Tree. The greater part of the universe is therefore invisible to the ordinary human senses and reason. I am in a secret fourfold word, the blasphemy against all gods of men. The fourfold word is Do what thou wilt. The Law of Thelema is wholly a spiritual and natural one, not a human one. Some but not all human beings have this secret nature within them, and of those, some are destined to discover it. There is nothing new about Thelema; it is not limited by time. The word Thelema means, ‘will’—not the personal will that imagines it has deterministic power but the impersonal will-force that is personified as Hadit. A comparative and perhaps better-known deity is Shiva in the Tantrik tradition, the supreme creator and destroyer of the universe. In the sphere I [Hadit] am everywhere the centre, as she [Nuit], the circumference, is nowhere found. Yet she shall be known and I never. As consciousness is everywhere, it is not limited to the earth and the human species that has infected the planet with an artificial construct it likes to think of as ‘intelligence’. Wild birds and creatures are sentient, in contradiction to the prevailing scientism that has formed its doctrines around the need to preserve and continue the artificial hell in which Adam and Eve are imprisoned until they come to know the true state of affairs. Ancient metaphysics, aeons before the term was coined, was based on detailed observation of nature, no different from the Thelemic love under will. Originally, there was only one Tree of Life that was also a Tree of Knowledge. To assist the restoration of the Tree of Life, we can happily forget the old word of Moses and instead invoke AShRH, the ‘woman’, as deity name in Kether. From the fragrance or Shakti emanations of Nuit-Babalon comes forth the tree from which the gods are sprung. As a cognate study, Ishtar is the happy goddess of the three worlds, heaven, earth and the underworld. The same three worlds are depicted on the obverse of the Stele of Revealing. 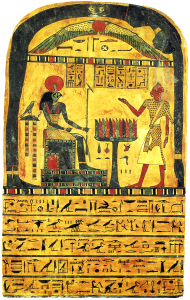 The gods of the Book of the Law are interchangeable, as are all Egyptian gods or neters (‘principles’). They can be different things on different planes—as is the Holy Guardian Angel, another metaphor. There is a Thelemic Trinity implied in the structure of Liber AL, and also in the Stele of Revealing, the only fragment we have of the original Theban Thelemic cult of Ankh-af-na-khonsu. There is also a trinity of sorts in the title of the book’s manuscript, ‘L’, as 30. The primal trinity is the Qabalistic Binah, the root of all form, the cosmic Matrix or womb. The Sethian Gnosis, among the books ascribed to Hermes Trismegistus, asserts a trinity of spirit or fragrance, light and dark. The light and dark had no moral implications of good or evil, for the Gnosis precedes, by vast ages of time, all dualistic theologies. The fragrance, or spirit-intelligence, permeates the light and dark equally; it knows them; thus the cosmic womb or Matrix is formed. 1. The Egyptian name Aiwass means, ‘He who was ordained in Thebes’. Abridged from ‘Romance of the Magical Orders’, Babalon Unveiled! Thelemic Monographs [Ordo Astri].